For many years Manisha suffered poor health which resulted in two major operations and conventional medicine was only offering her another major surgery which she refused and walked away. She was already a qualified yoga teacher and decided to change her lifestyle further. Even with a healthy diet change and exercising regularly, her symptoms were still there. It wasn’t until she discovered Pranic Healing in 2012 that her symptoms began to disappear very rapidly and completely. As a consequence Manisha trained to become a Pranic Healing Therapist and offers these treatments to all her Yoga students. 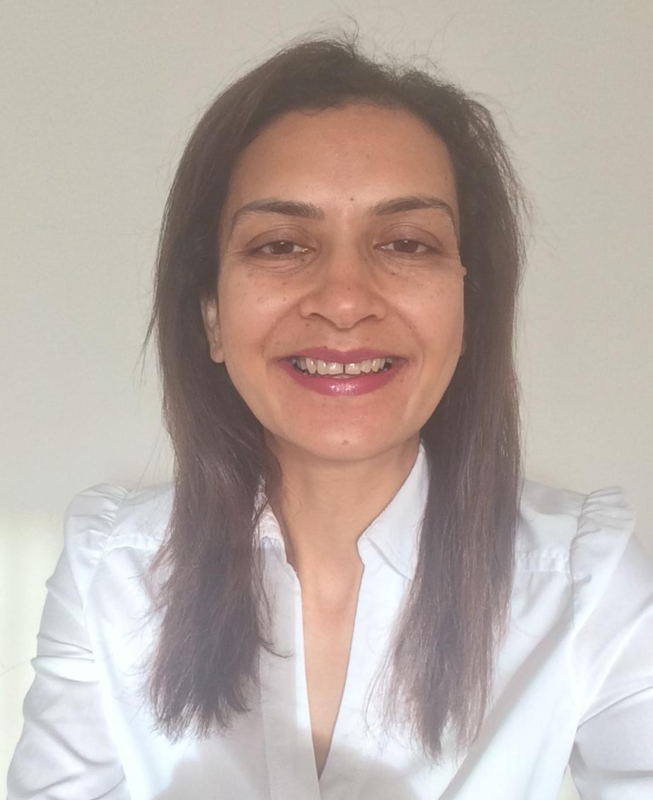 Prior to becoming a Yoga teacher/Pranic Healing Therapist, Manisha had spent 16 years in the clinical research industry working for many of the most prestigious and well established pharmaceutical companies in the world. Therefore, having worked extensively in the clinical research industry, she was amazed at how quickly the recovery time has been with Pranic Healing, compared to conventional treatments! Manisha is now living a happy, stress-free and healthy life, teaching Yoga and offering Pranic Healing Therapy as a way to a better lifestyle! Please see icons to the left for ways to contact Manisha.